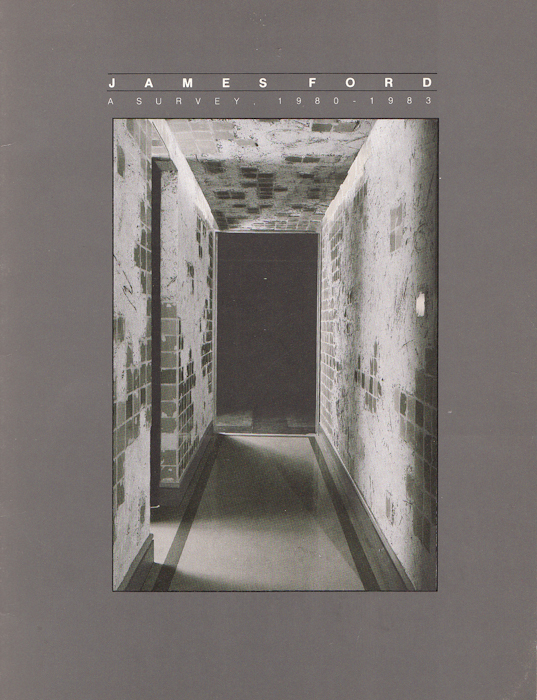 In this survey of his work between 1980 and 1983, James Ford uses architectural vocabulary in order to ask “how or if we can verify our human existence without markers of place and space." This work also addresses creation and destruction and the “confluence of past, present and future in the current moment” through a juxtaposition of textures—“rough, raw plaster against smooth tile, torn layers against smoothly painted surfaces [and] luscious drools of paint." Ford’s Constructivist sculptures are an interesting and innovative study in the fusion of the three dimensional and the two dimensional in painting, sculpture, and architecture.